Chandler is LOVING T-Ball this year. He is quite the slugger. Our favorite thing about Chandler and baseball though is how happy he is when he's playing. 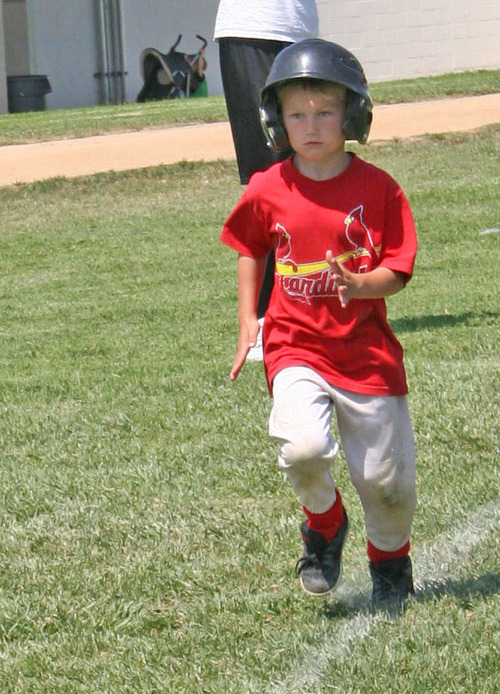 The look on his face when he runs the bases is priceless. I love this picture so much because of the intense look on his face as he runs home, the dirty knees that show he's been "sliding" and his little hands... how perfectly posed they are.